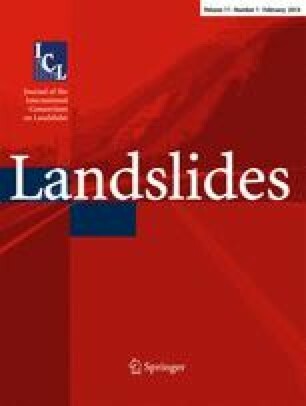 This article summarises activities and preliminary results of the International Programme on Landslides Project no. 179 “Database of glacial lake outburst floods (GLOFs)”. This project is planned for 3 years (2013–2015); the main objectives of the first year are (1) to create an online database and (2) to select collaborating partners. A survey of existing and relevant documents, information and organisations has been initiated along with the creation of a website (www.glofs-database.org) and the establishment of international collaboration. The first preliminary results show regional differences in various attributes of GLOF events (e.g. triggers, chronological distribution). These differences should be taken into consideration in regionally focused methods of hazard assessment, mitigation and consequently risk management. The authors would like to thank the Grant Agency of the Czech Republic (Project GACR P 209/11/1000), Grant Agency of Charles University (GAUK Project No. 70 413), and MŠMT project (INGO II, No. LG12026) for their financial and scientific support. The Swiss study was funded by the Swiss National Science Foundation and UNISCIENTIA STIFTUNG within the framework of the National Research Programme 61 on sustainable water management.